Due to overnight supervision needs and dorm space, we are currently accepting applications for male coaches. 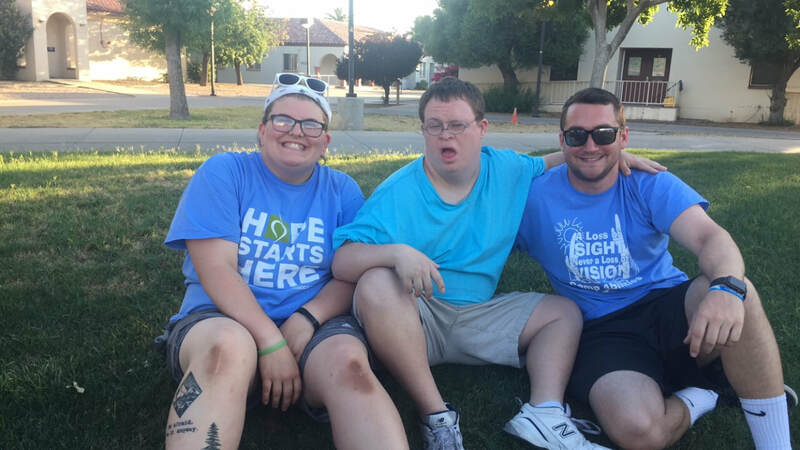 Camp Abilities Tucson relies on our volunteer coaches to succeed. We need 20-25 coaches for Camp Abilities Tucson 2019, as well as several interpreters and interveners, to make camp happen. If you are interested in volunteering, please click on the appropriate link below. If you are an intervener or interpreter, please email us at CampAbilitiesTucson@gmail.com. If you need the application in a more screen-reader friendly format, please contact us at CampAbilitiesTucson@gmail.com. Coaches and athlete pose, seated in the grass, during an evening activity. Coaches pose together during staff training.